Medical Malpractice | Eduardo De La Cruz-Munoz P.A. When a patient is injured or dies as a result of the actions of a medical professional, or lack thereof, it is known as medical malpractice. If you or a loved one has been the victim of medical negligence, contact the Law Office of Eduardo de la Cruz Muñoz, P.A., where we are dedicated to ensuring our clients receive appropriate compensation for all damages resulting from medical malpractice. 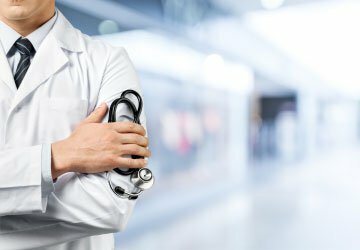 In order to file this type of lawsuit, you must be able to prove that you or your loved one had a doctor-patient relationship with the physician. Moreover, physicians can only be sued if they were hired by the patient to provide medical care. The doctor behaved in a negligent manner. To sue for medical malpractice, you must be able to prove that your doctor's actions or omissions caused harm, injury, or death that a competent doctor could have avoided. The doctor's negligence caused the injury or death. In order to win a medical malpractice lawsuit, you must be able to prove that your injuries or the death of your loved one resulted directly from the negligence of the physician. In most cases, proving medical negligence requires the testimony of a medical expert. This includes all past, present, and future medical costs, including visits to the ER, medical devices, doctorâs appointments, and more. If you are required to take a leave of absence from work due to your injuries or if you are unable to ever work normally again, you deserve to be compensated for wages you would not have lost had you not been a victim of medical malpractice. Pain and suffering refers to both the physical and emotional pain that you experience from your injuries. Pain and suffering may include depression, anxiety, fear, and mental suffering. In some medical malpractice cases, the spouse of the negligence victim may be entitled to damages, including a loss of sexual relations and companionship. These consortium damages are most typically awarded if the injury sustained from medical negligence is permanent or life-altering. In addition to the damages explained above, you or your loved one may be entitled to additional punitive damages if the medical professionals responsible for your injury acted in a negligent manner or with malicious intent. At the Law Office of Eduardo de la Cruz Muñoz, P.A., we will explore every avenue possible to ensure you and your family receives the full compensation you deserve to cover all damages associated with your medical malpractice claim. Set up a time to discuss your case. © 2019 Eduardo De La Cruz-Munoz P.A.